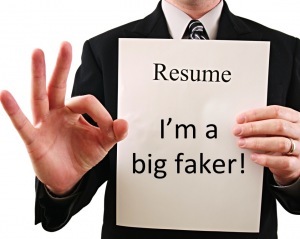 Q: Hi, I am an employer and we recently discovered that an employee purported to have a degree that he doesn’t. What is the law on this issue? Any person who is convicted on indictment of any of the following offences, that is to say, any cheat or fraud punishable at common law; any conspiracy to cheat or defraud, or to extort money (the Courts should interpret this to apply to the salaries of the fraudsters) or goods... liable to imprisonment for any term warranted by law, and also to be kept to hard labour during the whole or any part of such term of imprisonment. Every offence which, if done or committed in England, would amount to an offence at common law shall, if done or committed in Trinidad and Tobago, be taken to be an indictable offence, and shall be liable to be and *shall be punished in the same manner as it would be in England, under or by virtue of any special or general statute providing for the punishment of such offence, or, if there be no such statute, by the common law. Of course, issues with shop bought and/or inadequate qualifications are nothing new in Trinidad and Tobago, especially for people in very high-ranking positions. Being unqualified and/or buying a degree online from fake and unaccredited universities is apparently the way to go... working hard and EARNING a position is no longer relevant. In 1989 Surujrattan Rambachan received a “doctorate” from an unaccredited university by the name of Pacific Southern University. Ricardo Vincent lectured at Arthur Lok Jack from January 2006 – December 2009, and claims to have a doctorate in Global Leadership from unaccredited New Port University (now called Janus University). In 2013, concessions were made for Wade Mark by the Arthur Lok Jack Graduate School of Business to accommodate Mark, and in some cases revealed that Mark did not complete several core coursework, which would have enabled him to graduate. Programme director at Arthur Lok Jack, Brian Ghent, tendered his resignation over the awarding of the Executive Master of Business Administration (EMBA) to House Speaker Wade Mark. Former 1990 coup commissioner, Hafizool Ali Mohammed got his “doctorate” from Atlantic International University. Former acting general manager of Airports Operations at the Airports Authority of Trinidad and Tobago, Dayanand Birju’s certificate from the University of Massachusetts in Boston, USA was discovered to be a forgery in 2013. In 2001, Winston Cuffie got his “doctorate” from Golden Pacific University. Devanty Dianne Maraj-Ramdeen became CEO of the Equal Opportunity Commission without completing a Master’s degree as required for the position at the time of appointment. Also did not possess the required experience. Another Reshmi? Sandra Fernandez became the CEO of National Quarries after lying about a bachelor’s degree in business management from the School of Business and Computer Science. The racist and clearly corrupted Devant Maharaj, appointed Rabindra Moonan as the chairman of Caribbean Airlines, overseeing a billion-dollar budget. Rabindra was a CEPEP contractor with no significant executive management experience, whose biggest operation has been the contract awarded since the PP came to power. Omar Khan quit his chairmanship of the Trinidad and Tobago Electricity Commission when it was discovered that he lied about a Mechanical Engineering degree from UWI. But then later tried to lie to say he got it from the University of Manitoba via "distance learning" (which is not an option; see for yourself: http://umanitoba.ca/faculties/engineering/departments/mechanical/undergrad/mechprognewadmits.html).